Color and cut out all the pieces. To assemble the craft you can either glue the pieces together or assemble the craft using paper fasteners/ split pins/ metal brads. This entry was posted in Bible Crafts, Birth, Christmas, Easter, Holiday Crafts, Jesus, NT Crafts, OT Crafts, Teachings and tagged church, death, flock, Good Shepherd, Jesus, lost sheep, my sheep, salvation, sheep, shepherd. 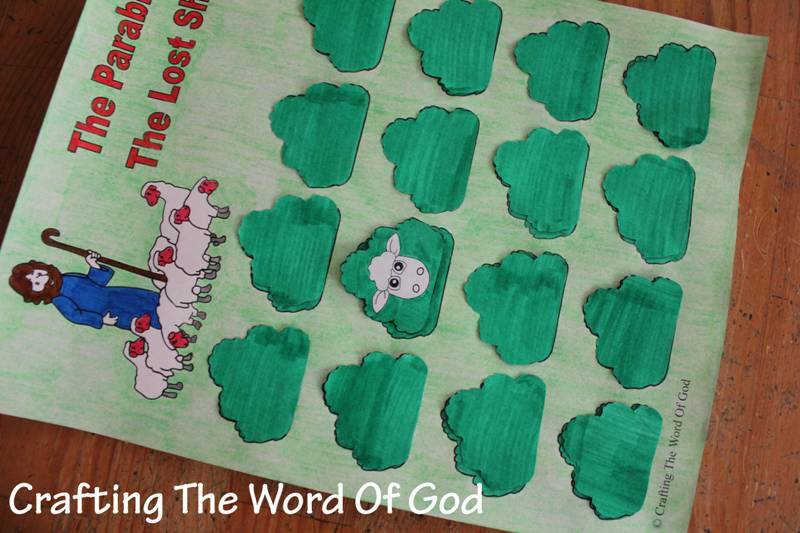 This entry was posted in Activity Sheet, Bible Crafts, Easter, Holiday Crafts, Jesus, NT Crafts, Printables, Teachings and tagged activity page, coloring page, Easter, find, God, Good Shepherd, Jesus, looks, lost, lost sheep, puzzle, sheep, shepherd, voice. This entry was posted in Bible Crafts, Coloring Page, Jesus, NT Crafts, Printables, Teachings and tagged bible crafts, color, coloring page, craft, crafts, Good Shepherd, Jesus, Jesus the good shepherd, lost sheep, parable, print out, printable, sheep, shepherd, teaching. Your kids will not only have fun looking for the lost sheep. but they will be reinforcing the lesson of this parable. Color the first and second page. Cut out the bushes on the second page. Color in the back of the bushes you just cut out. 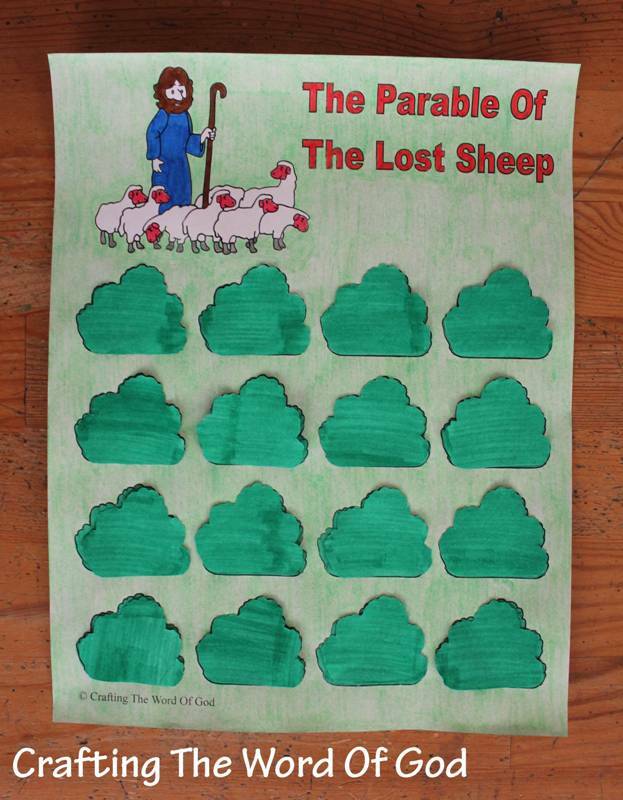 This entry was posted in Bible Crafts, Games, Jesus, NT Crafts, Printables, Teachings and tagged bible crafts, craft, crafts, find the lost sheep, game, Jesus, lost, lost sheep, parable of the lost sheep, parables, repent, repentance, sheep, teaching.